I’m not alone in wanting my kids to learn the basics of coding and am thankful there are so many ways to get them interested in the subject. We’ve covered cool clubs and camps, lots of fun games, as well as apps and websites like ScratchJr and Hopscotch. Heck, there’s even Coding with Elsa and Anna for our Frozen devotees. 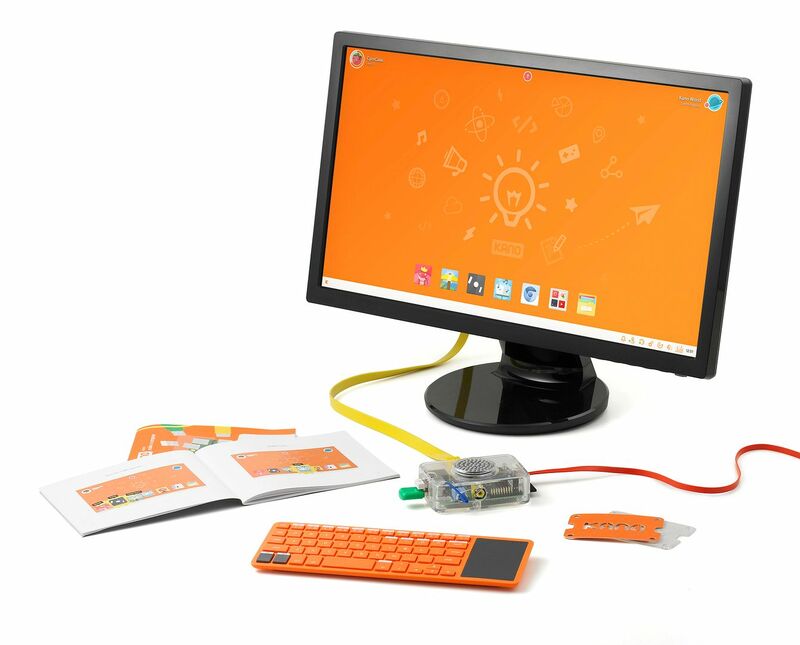 So, I was very intrigued by a new educational computer kit called Kano which not only gives kids a way to get more familiar with coding, but also gets them started at the very, very beginning. As in, building their own computer. And, considering how successful their recent Kickstarter campaign was, earning $1.5 million on a $100,000 goal, I’m not the only one who is intrigued by this clever product. First a confession: I have never wanted to build my own computer — I’m quite happy going to the Apple store. So I was a bit apprehensive about being faced with a bunch of wires and circuits and 300+ pages of instructions to figure out while my kids danced around me in anticipation. I shouldn’t have worried. Putting the Kano together is a snap, as my 10-year-old son was quick to show me. In no time, he had connected the Raspberry Pi brain to a case, speaker and keyboard, and he was ready to move on to the fun stuff: Playtime. Before playing though, please note that there’s one important thing missing from the Kano kit: The screen. And while it’s easy enough to connect to your television set or to an unused computer monitor, this is something you’ll want to keep in mind, especially if you are giving this as a gift to a niece or nephew. Once Kano has booted up and you’ve gone through the user-friendly “welcome” stage, kids are invited to play — and customize — games like Minecraft, Snake, or Pong, play music, and stream video. 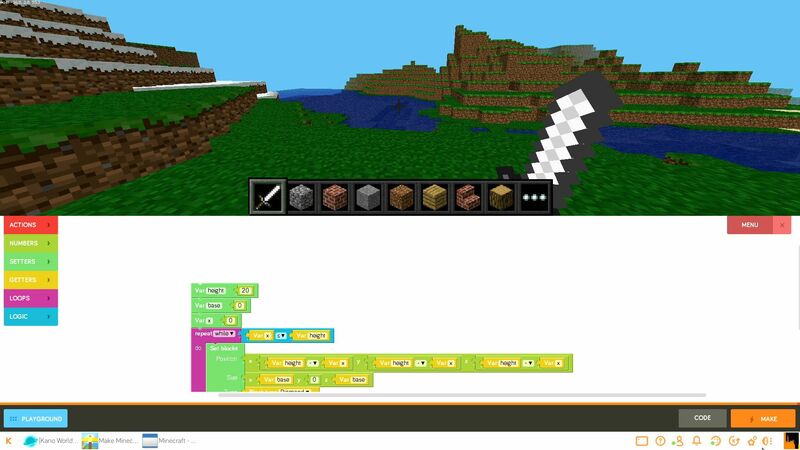 Kano uses a Scratch-like format called Kano Blocks which will be familiar to many kids. Kano World even allows kids to share what they’ve created with other users. 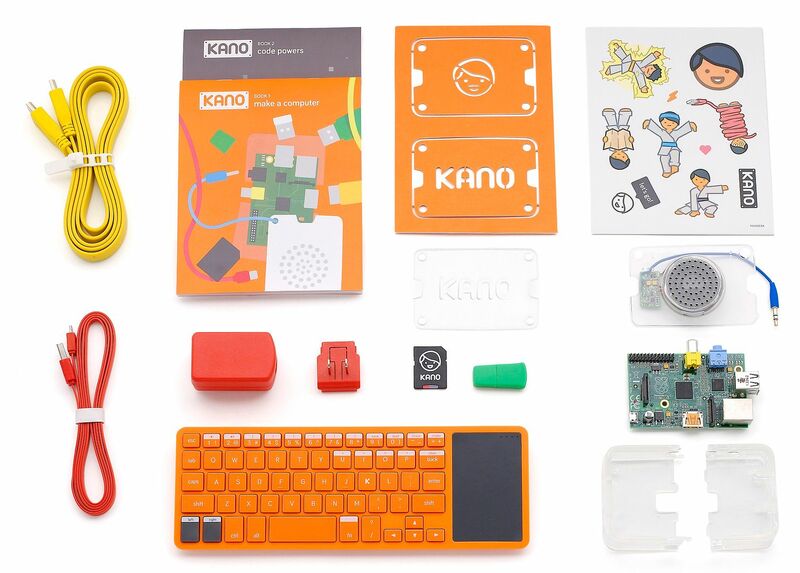 I think Kano makes a cool “big” gift for an older elementary-age child since it comes so nicely packaged with easy-to-follow user manuals, a guided computer experience with “rewards” for completing tasks, and brightly-colored materials. Younger kids may get a kick of it too, with a parent’s help. I even enjoyed playing with it, though the keyboard was definitely sized for smaller hands. Parents who are used to working with a Raspberry Pi device may find Kano’s price tag to be quite high, and the experience to be more “gaming” than teaching actual programming. But for those of us families who have an interest in exposing our kids to this technology, but aren’t really sure where to start, Kano is a very user-friendly place to begin. 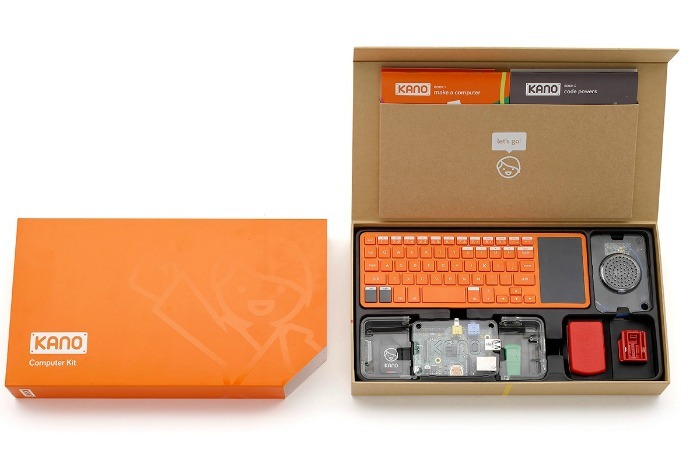 The Kano computer kit for kids is available at Kano.me for $149.99.